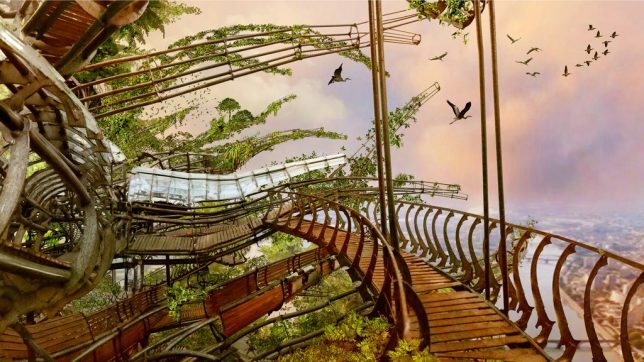 An island in France populated by ‘living machines’ that seem to be torn straight from the notebooks of Leonardo da Vinci, Les Machines de L’ile has delighted visitors since 2007, and now they’re embarking on a quest to complete the largest hanging garden since ancient Babylon. 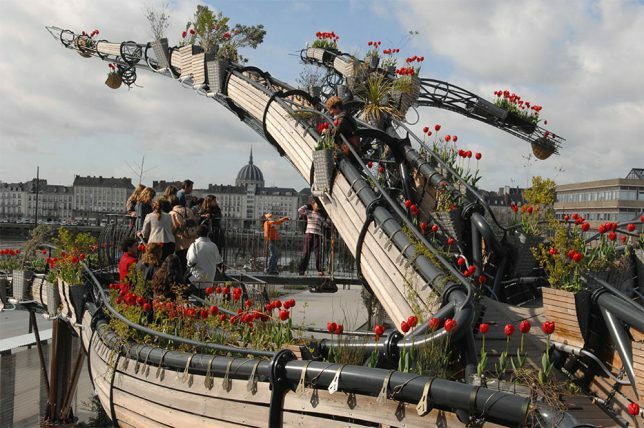 The unusual artistic and cultural project is set within old shipyards surrounded by two branches of the Loire River, known for its massive mechanical elephant, 82-foot-high Marine Worlds Carousel and a gallery of the illustrations, models and films that went into the making of their machines. The Heron’s Tree is one of the project’s greatest achievements, but it’s been under construction for over a decade. 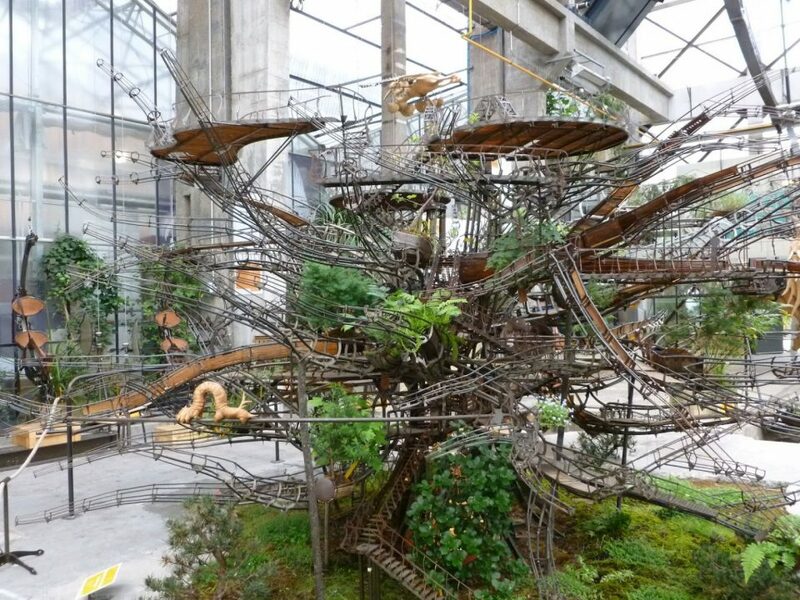 114 feet tall and 160 feet in diameter, the tree allows visitors to climb onto the backs or wings of mechanical herons to fly over the tree’s hanging gardens. 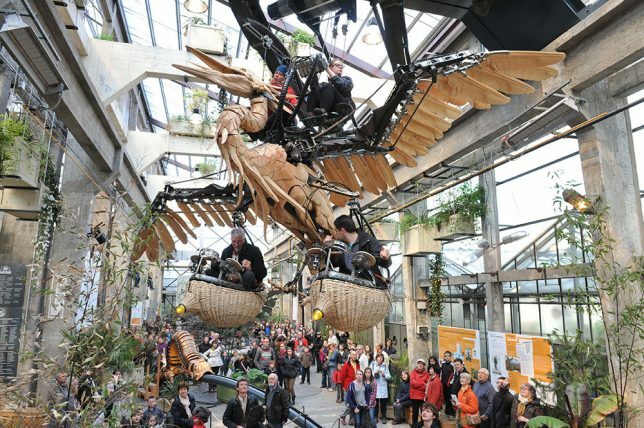 Les Machines de L’ile have launched a Kickstarter to expand it to its full potential, with a projected cost of 35 million euros and a new opening date of 2022. The crowdfunding campaign just opened on March 6th and has already exceeded its goal by a long shot, but you can still back it for rewards like posters, sketches, hats and engraved plaques. 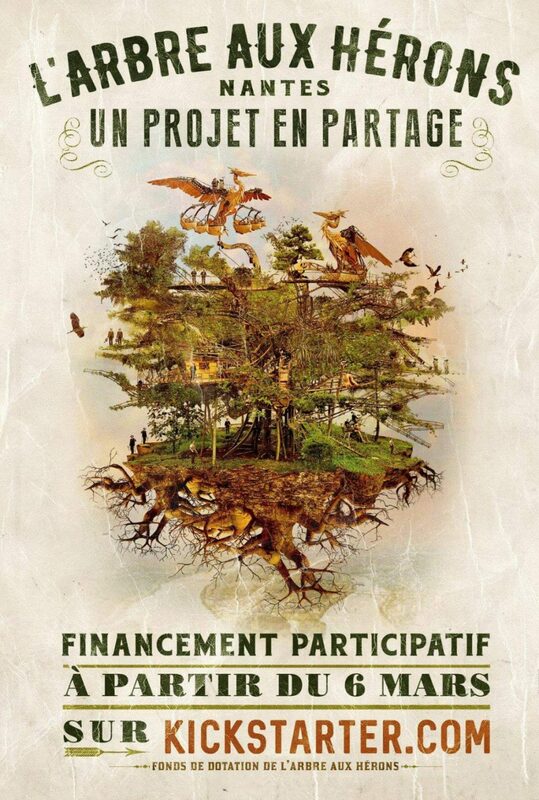 Whether or not you contribute, you’re going to want to add this fantastical island of automatons to your travel wish list.